It was a hot & sweaty summer day at our poolside picnic in Spartanburg, and we still had a GRAND ‘OL time! We all opened up in the Satsang and had a wonderful open dialogue with Aptaputras. Stay tuned for photos from our retreat coming soon! We need your sincere help and engagement to build a united JSS Youth community. We are a nationwide group, loosely defined as those under 45 years old (or young at heart). Our aim is to focus on our own individual File #1 and progress together on our common path towards inner bliss. 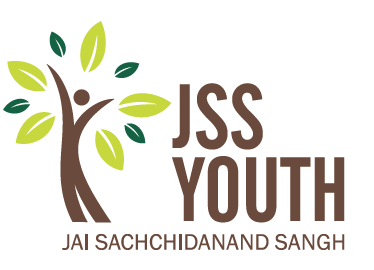 The Youth platform was blessed by Dadaji 10+ years back, as well as recently with the formation of our new JSSY team. We are not once a year (at GuruPurnima) friends, but year round and into old age friends. Let’s keep the momentum ball rolling throughout the year! If you have any i to improve our activities or communication, please don’t hesitate to share. We are always open and continuously seeking to evolve to meet the needs of our community. If you have not already, please send us your contact information to be added to our JSSY WhatsApp group. This platform will serve as a basis for communication year round through experience sharing and doses of Dadaji’s holistic principles for spiritual growth.